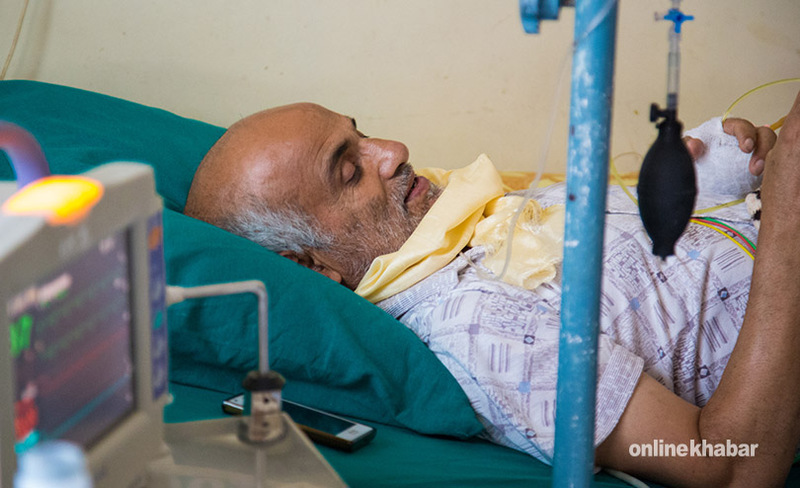 Medical reform social activist Dr Govinda KC, who is on an indefinite hunger strike in Jumla, has clarified that he is ready to hold talks with the government. Issuing a statement, KC condemned the government’s statement which said that he was not ready for the meeting. Dr KC also urged the government to do necessary homework before the talks. Stating that his attention was drawn towards the government’s statement, KC clarified that a team would be sent to Kathmandu immediately if the government was ready for the negotiation. He further suggested that the government give up party-centric selfishness and ensure rights of around 30 million Nepalis. Dr KC is on a fast-unto-death at Karnali Academy of Health Sciences for the past 12 days demanding formulation and implementation of a medical education law in line with the recommendations put forth by a panel led by educationist Kedar Bhakta Mathema.